Sharp’s BIG PAD PN-65SC1 has been developed for classroom and higher education campuses, ideally suited to the smaller teaching spaces. 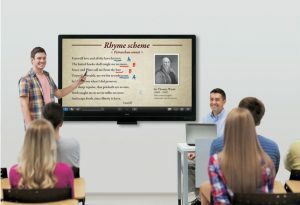 Offering the latest on-screen collaboration capabilities with attractive price point, Sharp’s latest 65” BIG PAD interactive flat panel display can help you enhance communication and create the best conditions for teaching and learning. Whether in a classroom, small lecture theatre, seminar room or breakout space, it can sometimes be a challenge to keep everyone focused and engaged. 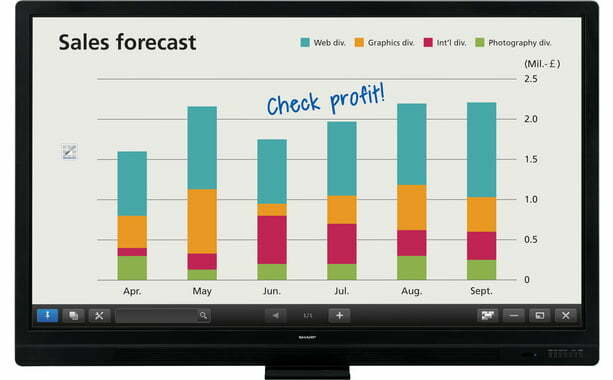 The generous full HD 65″ touchscreen monitor lets you display, create and collaborate with ease and precision. The fully featured and powerful Sharp Pen software opens up new ways for brainstorming, sharing ideas and finalizing decisions. The easy to use Freeze-Frame button also allows the presenter or teacher to maintain full content control, even when accessing sensitive information on an attached device. 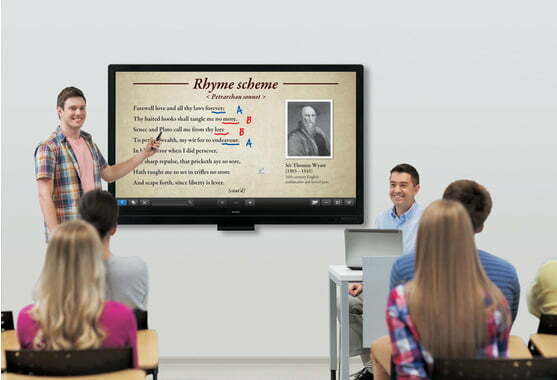 Powerful, flexible and cost-effective, the latest Sharp BIG PAD PN-65SC1 provides an outstanding platform with easy connectivity via VGA, HDMI or DisplayPort inputs to either boost collaboration, enhance audience impact, or simply increase lesson effectiveness. The innovative Sharp Touch Viewing software brings convenience and originality to lessons and seminars. You can open files directly from the display and get to work immediately, without waiting for applications to boot up. Additionally, the Sharp Display Connect software supports the wireless connectivity between the BIG PAD and up to 50 devices, for un-parallel collaboration. Further convenience comes with the ability to scan documents directly to the PN-65SC1 from a compatible Sharp multifunction printer, so exemplary essays can be scanned onto the screen and displayed to the class. Additionally, any annotations made on the board, including handwritten notes can be sent to a PC for storage, or printed via a MFP. to assist you with your query.